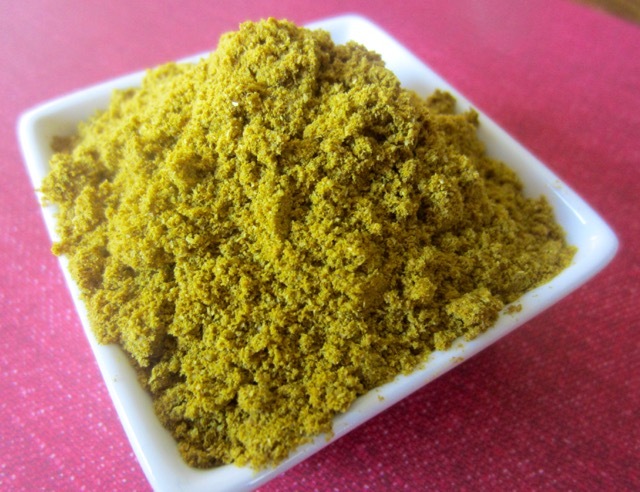 Curry powder is a blend of powdered spices used for seasoning food or making curry. There is no standard recipe for curry powder but the basic ingredients found in almost all curry powders are: coriander seed, cumin seed, turmeric, ginger, cinnamon, mustard seed, cayenne powder, fenugreek and salt. Other ingredients may include cloves, jaggery, fennel seed, cereal, garlic. 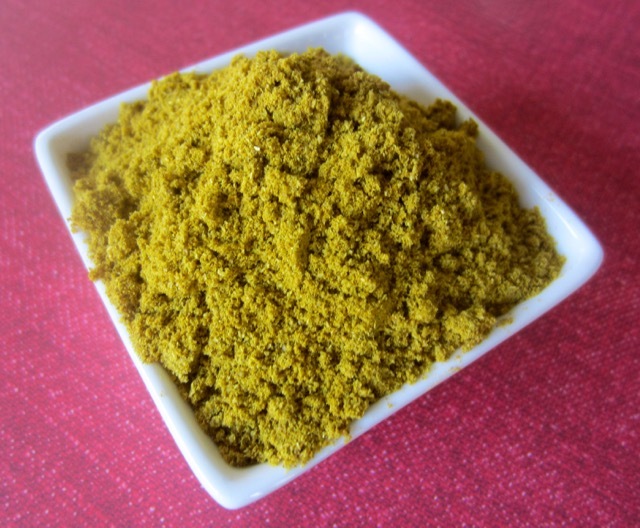 Curry powder is available in mild, medium or hot strengths. It’s rarely used by Indian cooks because each cook makes his own blend of spices called “Masala” which will vary from cook to cook and region to region. I suggest you read the label of the curry powder you buy to see the added ingredients. Here are the ingredients in this curry powder: Coriander, Turmeric, Fenugreek, Cumin, Chilli, Curry Leaves, Salt, Cinnamon, Clove, Ginger, Black Pepper, Garlic, Asafoetida, Sodium Sulphate. Posted in Glossary, Ingredients, What is? Prev What is Melba Toast? Next What is Worcestershire Sauce? I totally agree with you. Curry powder blends very well with coconut milk. I use that combination all the time. Have a great week!